A whirlwind romance and the prospect of her husband-to-be's new job has congressional staffer Mallory Hale leaving behind the hustle and bustle of D.C., for a remote Texas ranch. 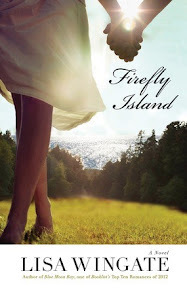 In Lisa Wingate's newest novel, Firefly Island, romance is in the air - or at least floating around the halls of the Capital when Mallory Hale meets the guy - Daniel - a scientist/engineer/researcher - type guy, who sweeps her off her feet (almost literally when she trips). Firefly Island is filled with a variety of mishaps and humor as Mallory navigates her new role as step-mom, unexpected blogger "the frontier woman," and even a community activist. Not only does she uncover a variety of things about herself - and her values - but she ultimately discovers a scandal that threatens her new found home. This novel wasn't exactly what I expected. It was different, which honestly, makes it quite unique. It's not just a "romance." It starts out as a "slice of life" book - tracking Mallory from her life as a D.C. career woman, to the changes she experiences once she and Daniel marry and move to Moses Lake. Ultimately, it's just a contemporary novel where faith is just part of life - and not overtly preached. On the scale of one to five, I give this novel a three. 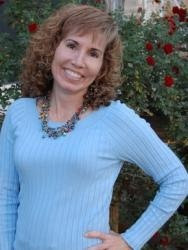 It's different - and that's what sets it apart from the typical "romance" book. It has an air of suspense, but I wouldn't label it as a mystery. It's just a nice work of fiction. Sometimes love takes you on an adventure completely off the map. Mallory Hale's life quickly veers off course when she falls hopelessly in love. After a whirlwind romance, Mallory finds herself leaving the bustle and action of Capitol Hill for the remote town of Moses Lake, Texas-with husband, stepson, and a U-Haul in tow. A sweet, mishap-filled journey into marriage, motherhood, and ranch living ensues, and Mallory is filled with both the wonderment of love and the insecurities of change. But what she can't shake is the unease she feels around her husband's new boss, Jack West. Jack's presence-and his mysterious past-set her on edge, and when hints of a scandal emerge, Mallory finds herself seeking answers . . . and comes to realize that the middle-of-nowhere home she wasn't sure she wanted is the very place she'll risk everything to save.